Insight into Japan's beauty. : I visited "Gio-ji" temple in Kyoto. I visited "Gio-ji" temple in Kyoto. 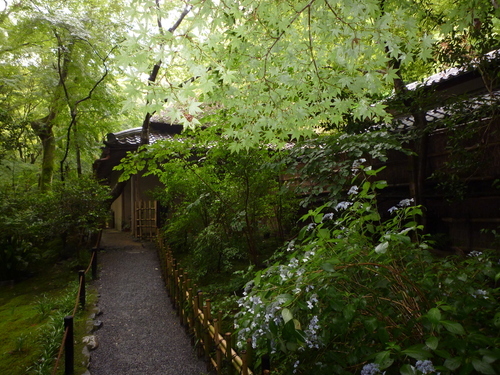 I visited "Gio-ji" temple" in Sagano,Kyoto. Itis a pretty temple whose name appeared in the classic Japanese military tale, The Tale of The Heike,as a convent in the the 13th century. After a long desolation,it was rebuilt in the beginning of the 20th century. The beautiful Japanese garden made up of bamboo, maple trees,camellia and moss covering the ground gives seasonal attractions.